We are delighted that you have decided to apply for a place at our school. Should you have any questions about the admissions or appeals processes please do not hesitate to get in touch with us. The admissions process for St Thomas More Catholic School is part of the Walsall Local Authority coordinated admissions scheme. To apply for a place at St Thomas More Catholic School in the normal admissions round, an application must be made using the school admission application process of the local authority in which you live naming St Thomas More Catholic School on the application form. Applications need to be made by 31st October 2018. A Supplementary Information Form (SIF) must also be completed and returned directly to the school by the same date. All applications which are submitted on time will be considered at the same time, after the closing date. You will be advised of the outcome of your application on 1st March 2019, or the next working day, by the local authority on behalf of the school. Please download the Admissions Policy for further information. Important documents for prospective students and their parents/carers, including information about our admissions process. How decisions are made with regard to the admissions process. A form requesting essential additional information the school requires in order to process your application. Important documents related to the admissions appeals process. The timetable for the 2019 admissions appeal process. Appeals application form and guidance notes about the process. All Mid-Year applications for a school Place at St Thomas More Catholic School are centrally co-ordinated by Walsall Council Admissions Department. 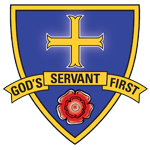 “If you wish to apply for a place at St Thomas More, you should either complete our Mid-Year Admission Application Form (available from school) or the on-line form on the Walsall Council website. You will also need to complete a Supplementary Information Form (Mid-Year) and return this to the school, with a copy of Baptism Certificate if applying as a Catholic Child, within 10 days of submitting the application. If we do not receive this form we will assume that your child is not a baptised Catholic and will be placed in a relevant category. Please note that the Supplementary Information Form IS NOT the application. The Mid-Year Admissions Panel will sit monthly and you will be advised in writing if there is a place or if your child will be held on our waiting list. All applications will be held for one complete term and then destroyed. You will need to re-apply if you still want a place after that time. We are unable to give information outside of this process but will be happy to give you any guidance on the process if you need it. You might also find the following downloads helpful. A guide on using the Show My Homework system.